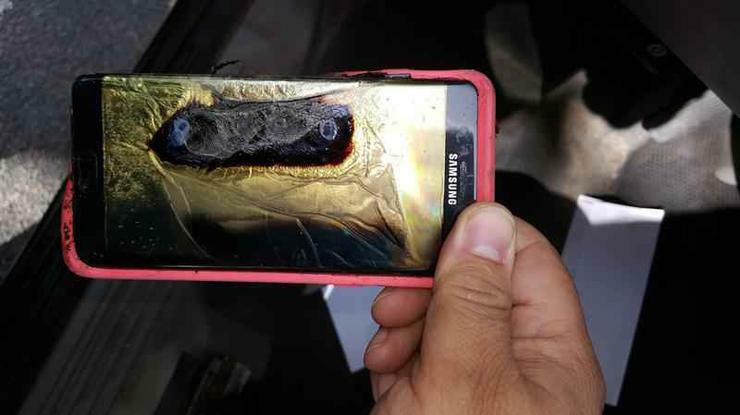 There's a lot of clap-trap going around about what could be wrong with the lithium-ion batteries in the dozens of Note7s that overheated, smoked, and even caught fire in original and replacement units. The truth is that the public doesn't know -- yet. Many analysts are questioning whether Samsung knows and just hasn't said. Samsung killed production of the Note7 and stopped sales and exchanges yesterday, less than two months after the South Korean giant started shipping the original device in the U.S. on Aug. 19. It's not clear what the company plans to do next to recover. Samsung is still investigating the cause or causes of the fires and likely has a lot of theories. While production is indeed stopped, which is a good move, it's still vital to the entire smartphone industry and the buying public to know precisely what went wrong. If the experts at Samsung are smart, they will reach a conclusion quickly and the company will share it publicly. To date, the public doesn't have any results from the U.S. Consumer Product Safety Commission (CPSC) or Samsung or any other reputable investigator. One analyst, Patrick Moorhead of Moor Insights & Strategy, posited that the overheating is likely due to a problem in the charging characteristics of the phones -- not the actual batteries themselves, affecting the chemistry inside the batteries. That might be the result of how an algorithm was used to guide -- or in these cases, misguide -- the charging process. Moorhead, a former technology product manager with 26 years in the business, noted that two different brands of batteries were inside phones that overheated, further raising doubts that the batteries are to blame. In the original Note7, the batteries were from a Samsung subsidiary, Samsung SDI. The batteries inside replacement Note7s were made by Amperex Technology of China. After the CPSC recalled 1 million Note7s in the U.S. on Sept. 15, Samsung decided to use Amperex batteries in the replacement models sent to customers. Then, some Note7s that were apparently replacement models caught fire. In the earliest example, smoke started billowing from a Note7 aboard a parked Southwest Airlines jet on Oct. 5. 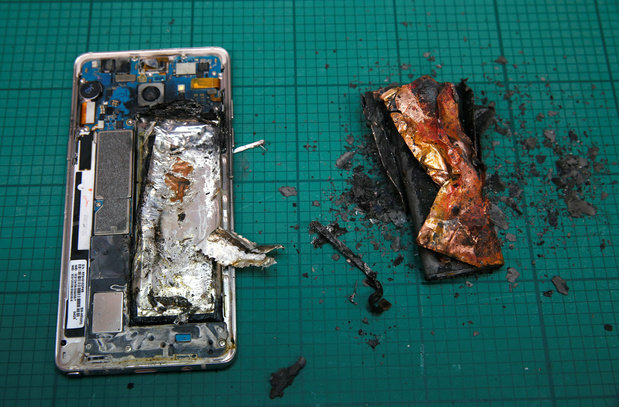 Samsung said it wanted to examine that replacement phone. Details about the batteries reportedly connected to fires are corroborated by other reporting, including by The New York Times. The Times quoted Park Chul-wan, former director of the Center for Advanced Batteries at the Korea Electronics Technology Institute, as saying Samsung was "too quick to blame the batteries." At the very least, the batteries were not the main problem, he said. Park is a good authority, since he had access to documents from the Korean Agency for Technology and Standards that referred to Samsung's initial concerns with the Samsung SDI batteries. Park and others have indicated that there is probably a complex reason for the fires. They have pointed to the numerous complex features jammed into the Note7, with its unusual digital pen stylus, that made discerning a cause "uncontrollable." But an "uncontrollable" explanation makes little sense. What kind of internal complexity could lead to fires -- too much multi-tasking and too much fast processing? A battery unable to take a charge properly and distribute it properly to the processor and display? It's important to find out, and find out quickly. The Times also reported that hundreds of engineers testing the Note7 problems at Samsung weren't allowed to share their findings by email because management fears lawsuits. U.S. analysts who cover Samsung have often told me how guarded Samsung can be with information, more so than its smartphone competitors. The Note7 debacle demands a change in that kind of attitude by Samsung if only in the spirit of good science.